BURGER KING® first arrived on Singapore shores in 1982 with the opening of its first restaurant in Peninsula Plaza. 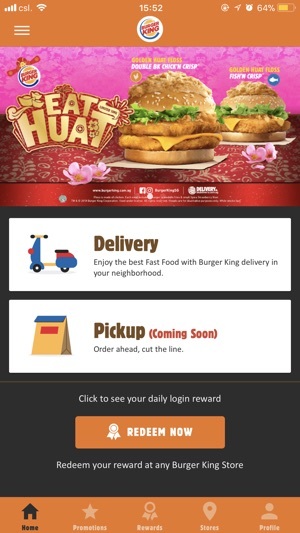 Today, BURGER KING® Singapore Pte Ltd operates 35 BURGER KING® outlets in Singapore. BK Delivery is also now available for more customers across the island city to enjoy the great flame-grilled taste of our products. 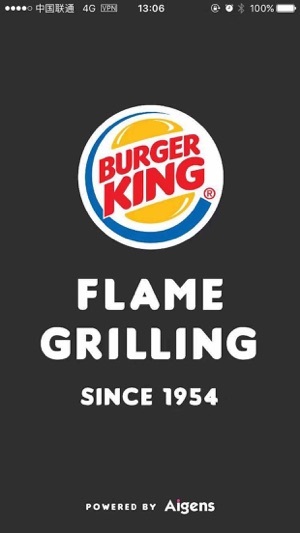 Among the top QSR (Quick Service Restaurant) chains in the country, its growing customer base enjoys the best-selling, signature flame-grilled WHOPPER sandwiches as well as other top BK favourites while dining and relaxing with family and friends at its outlets, or in the comforts of home. All BURGER KING® beef and chicken patties are 100% certified Halal and the company only uses fresh vegetables. To learn more about BURGER KING® Singapore, please visit BURGER KING® Singapore’s website at www.burgerking.com.sg or follow us on Facebook. Founded in 1954, BURGER KING® (NYSE: BKW) is the second largest fast food hamburger chain in the world. The original HOME OF THE WHOPPER®, the BURGER KING® system operates in over 13,000 locations serving more than 11 million guests daily in 89 countries and territories worldwide. Approximately 99 percent of BURGER KING® restaurants are owned and operated by independent franchisees, many of them family-owned operations that have been in business for decades. To learn more about BURGER KING® Worldwide, please visit the company's website at www.bk.com or follow us on Facebook and Twitter. Seriously ! This is the worst app I ever used!!! I spent more than and hour to place order and when order submission, the order lost!!!!! I repeat to order and the error keeps happening ! Omg! Wasting my time to order via the apps! 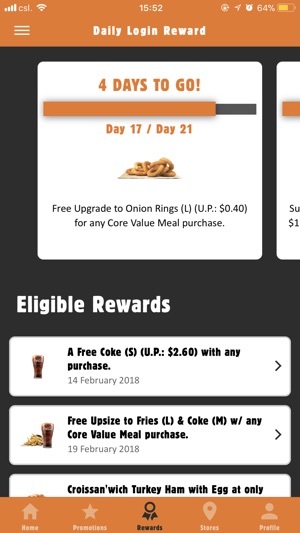 I cannot understand why Burger King launches a app that is full of bug and not working at all!!! This happened few months ago and until today still the same! 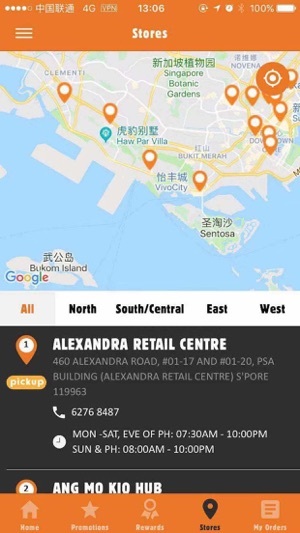 Stop being able to order via foodpanda, no option to order via website, or phone. Bug ridden, Slow, and terrible user experience. Missing items from the menu (Taro Turnover). Randomly add cards on items I do not want. I hope you get another contractor to make a better application. What is the point of having this app when the order has to be placed thur Food Panda? My order was lost after submitting credit card information and $5 delivery charges turned into $25. Food Panda could not confirm my order, BK does not know. So who has my order or who has my credit card information? 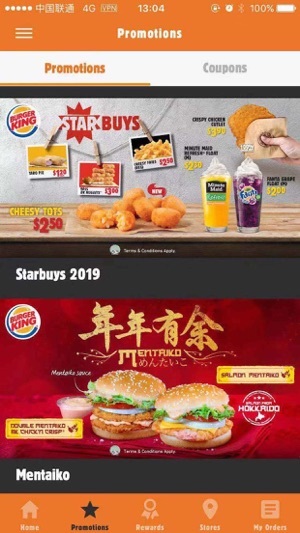 TM & ©2018 Burger King Corporation. Used under license. All rights reserved.